Current Position: No current political position. Background: Up to this point, Williamson has been primarily a social activist and spiritual author. She is the cofounder of Project Angel Food. Originally launched to support HIV/AIDS patients, it expanded to cook and deliver meals to people with life-threatening illnesses. Economy: Williamson supports the institution of a $15 minimum wage. She also supports the Green New Deal, an economic stimulus bill that calls for radical environmental and economic policies. Healthcare: She backs the socialist Medicare for All bill, a self-explanatory bill proposed by Senator Bernie Sanders (I-VT). 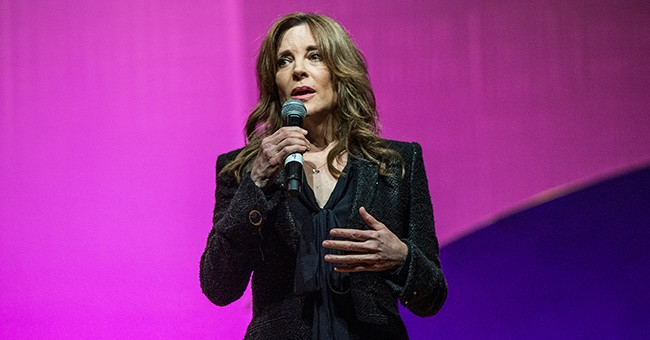 Abortion: Williamson has affirmed her support for abortion, calling herself "one hundred percent pro-choice." Immigration: She believes that there should be a pathway to citizenship for illegal immigrants with no "serious criminal background." She has also said that she would work on providing affordable healthcare to illegal families. Criminal Justice: Her signature campaign promise is a call for $100 billion in reparations for black Americans. This would be distributed over 10 years by a group of black leaders for selected "economic and education projects." Gun Control: As president, she would support the elimination of the sale of semi-automatic firearms. She would fight to ban bump stocks and require universal background checks, including at gun shows. Education: Williamson would advocate for legislation that supports free college education and low-cost education for middle or older aged citizens.